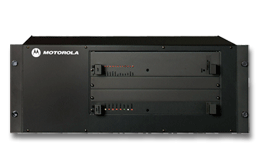 The MCC 7500 Dispatch Console is Motorola’s ASTRO® 25 Mission Critical IP Dispatch solution designed to ensure superior audio quality and prioritized emergency calls, regardless of call volume or traffic loading. The MCC 7500 also provides true end-to-end encryption for secure calls, and the easy-to-use Elite Graphical User Interface (GUI). Connecting directly to the IP network without central electronics or gateways, console positions are seamlessly integrated with ASTRO 25 systems. Both trunking and conventional channels interface to the MCC 7500 through the same IP network. In tandem, a flexible, versatile, and scalable digital logging solution is being introduced. 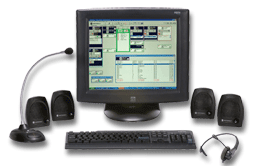 The logging solution provides audio quality equal to that of the MCC 7500 operator position and is compliant with Motorola’s network security and quality requirements. To enhance cost savings and system interoperability, the MCC 7500 Consoles and logging participate fully in Agency Partitioning. This allows departments and agencies to share a system, yet manage and maintain control over their own talk-groups, encryption keys and configuration data. In addition, a new approach to database configuration and fault management enables the system's network manager to configure and manage console and logging positions. This centralized approach, with changes automatically distributed throughout the system, provides vital efficiency.